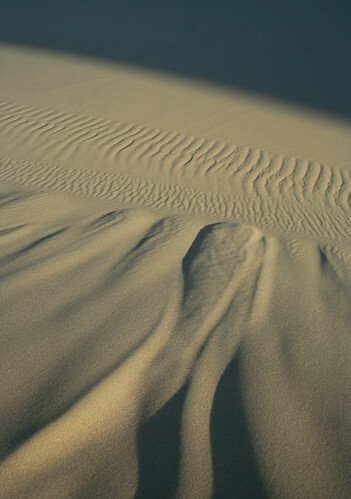 20080527 Khongoryn Els Sand Dunes, Gobi Desert, Mongolia 002, originally uploaded by gakout. Mongolia has now called for Saturday to be a day of mourning for the 45 people killed by a recent snowstorm in the eastern provinces, including 14 children. Tallies of the missing vary from 8 to 100, and thousands of livestock also perished. More than 300 rescue workers are battling poor weather conditions to search for the missing. Have a bachelor’s degree in English, history, geography or math? Are you open, tolerant, and a team player? There might be a job for you at Hobby School, a bi-lingual primary and secondary school in Mongolia. The salary is $700/mo. after taxes, but the school provides your accommodations, as well as paid vacations and a travel allowance at the end of the school year. A group of Mongolians has decided to get in on the mining action by forming their own corporation. They figure that there’s no sense in foreign companies doing the mining, when they can have an IPO in Hong Kong or Toronto to raise the money to set up their own mining concern. The city of Ulaanbaatar has set aside 12 hectares for the construction of 4,000 new apartments by a South Korean firm. The death toll in the spring snowstorm has risen to 29, and at least 100 Mongolians are missing. Mongolia is considering eliminating gold from the 68% windfall tax. Since enactment of the tax, mining activity has not decreased, but the amount of gold being reported and paid to the national bank has slipped. 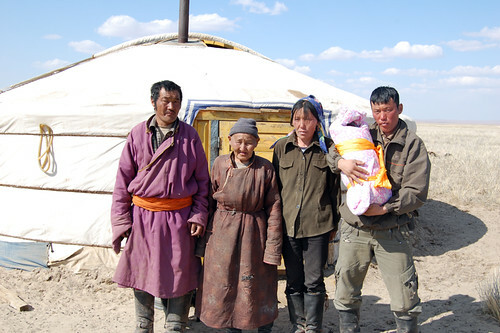 There are now more than 1700 cases of hand-foot-mouth disease in Mongolia. As we didn’t have a missions service scheduled anywhere this weekend, we attended Heartland Christian Fellowship. (Actually, we have very few services scheduled for the coming months.) At any rate, it’s nice to be able to attend our “home church” now and then. We attended my dad’s Sunday school class, which is studying the book A Life that Matters by Ron Hutchcraft. The chapter they were discussing today had to do with the lostness of those around us. It included some shocking statistics regarding how little knowledge Americans have of the Bible, Christ, the church and Christian philosophy. If the statistics are accurate, they are fairly damning of the church, pointing out that despite 200 years of cultural dominance, Christians have failed to be salt and light in American society. I actually question the validity of the statistics somewhat. While I certainly concede that America is a post-Christian culture, the remnants of its Christian heritage are everywhere evident. Even soap operas often have a church as an oft-visited site and a priest as a secondary character; sometimes the plotlines are overtly spiritual. While some–okay, many–Americans do not avail themselves of the opportunities they have to become Biblically literate, etc., there is no lack of resources for them to alleviate that situation. If there is not, then the church is failing miserably. To the extent that the church’s leaders are hypocritical CEOs of corporations and the rank-and-file membership are passive consumers of the pablum of pop Christianity, we as the church should be horribly ashamed. 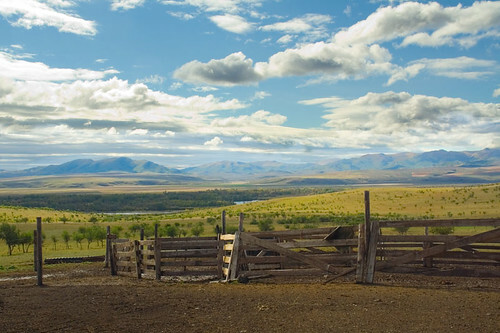 tsagaanuur farm, Mongolia, originally uploaded by Atuffs. North Mongolia Still Facing Fire Threats. Mongolia has had 105 wildfires in the past couple of months, with five still burning out of control in the northern part of the country. One of these just crossed into Mongolia last week from Russia. A couple of the fires have even reached suburbs of the capital. Denver, Colorado, has taken another step to solidify her position as a sister city to Ulaanbaatar, Mongolia. On May 10, Denver opened Ulaanbaatar Park with Mongolian Minister Counselor and Deputy Chief of Mission Mr. Odonjil Banzragch in attendance. Denver and UB have been sister cities for seven years, and Denver is the base for several businesses and NGOs doing business in Mongolia. The Mongolian Stock Exchange, a government-owned corporation, and the Tokyo Stock Exchange have signed a vaguely-worded agreement, moving them towards eventually allowing trading on both exchanges. This seems like a good move for Mongolia, making it easier for outside investors to get a piece of the action and expanding Mongolia’s financial interaction with countries other than Russia or China. Mongolia’s social services have recently been ranked among the top four in Asia. Asia Development Bank says that Mongolia excels in providing its citizens with welfare, employment, social security, health insurance, micro-credit, child protection, education and health support programs. I was surprised to see that they exceeded the Philippines in this respect, but that may reflect the somewhat easier task of providing for three million citizens as compared the the ninety million of the Philippines. Arburd Sands, Mongolia, originally uploaded by JET_BKK. It seems that there’s been an outbreak of hand-foot-mouth disease in Mongolia, including in the city where we are going to be living. There have been almost 200 cases of the disease and, though no one has died, they have suspended the elementary schools in an effort to stop the spread of the disease.